Remove the front wheel drive shaft inner joint and boot. Refer to Front Wheel Drive Shaft Replacement. Remove the wheel drive shaft tripod bushing (1) from the tripod housing (3). Remove the wheel drive shaft tripod housing (3) from the wheel drive shaft. Remove the wheel drive shaft tripod joint boot bushing (1). Using a suitable cleaner, remove the excess grease from the tripod assembly. If any of the internal parts are found to be excessively worn or damaged, replace the wheel drive shaft inner joint and boot. 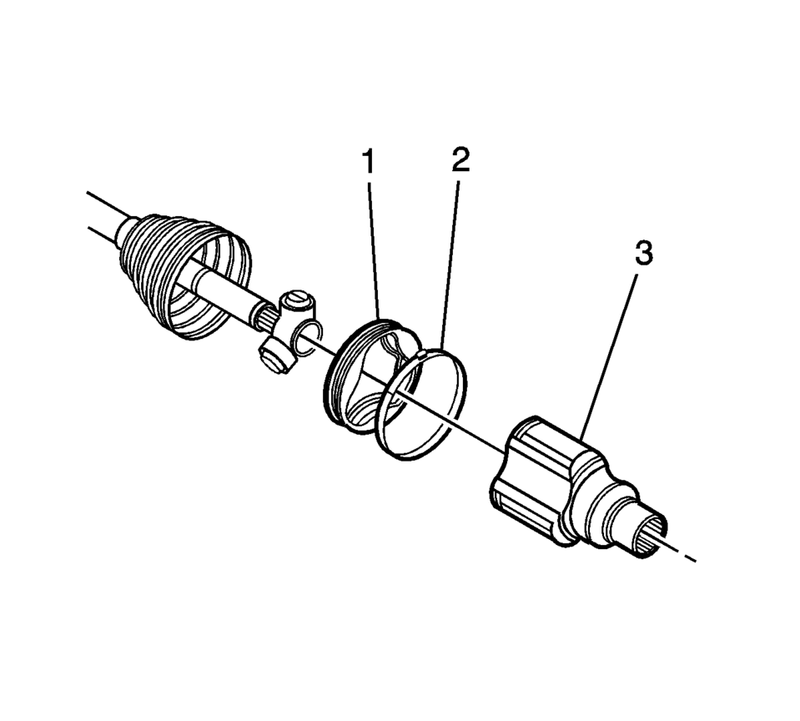 Refer to Front Wheel Drive Shaft Inner Joint and Boot Replacement.